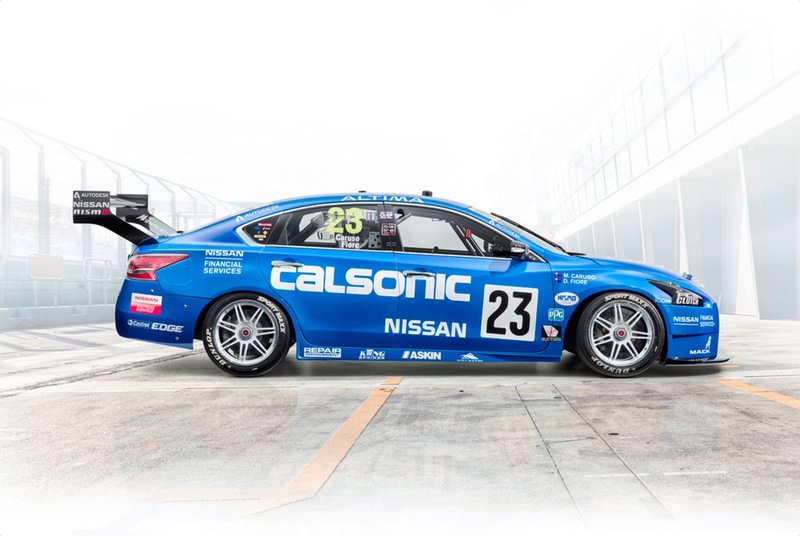 When we published our retrospective of Nissan’s famed Calsonic Blue livery last week we had no idea that it would soon be making its way to Australia. As it turns out, Nissan is about to revive not only this, but the famed BRE colors as well, and send them into battle side by side. The Sandown 500 is of the most anticipated stops in Australia’s V8 Supercars Championship, marking the start of the series’ “enduro season”, which includes the Gold Coast 600 and the centerpiece event, the Bathurst 1000. 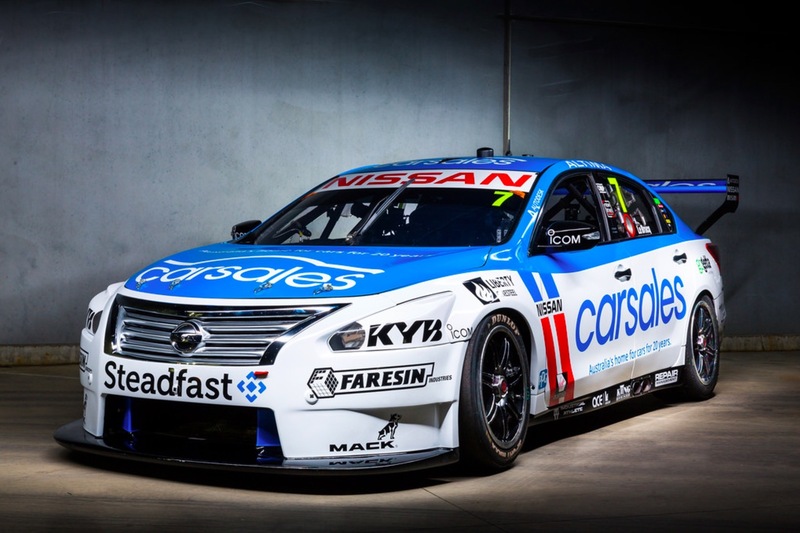 It has in recent years become somewhat of a tradition for teams to run retro liveries at the Sandown 500, and Nissan has decided to go all out with Calsonic Impul and BRE-inspired Altimas. As you might have surmised from the series name, these are no ordinary grocery getter sedans. 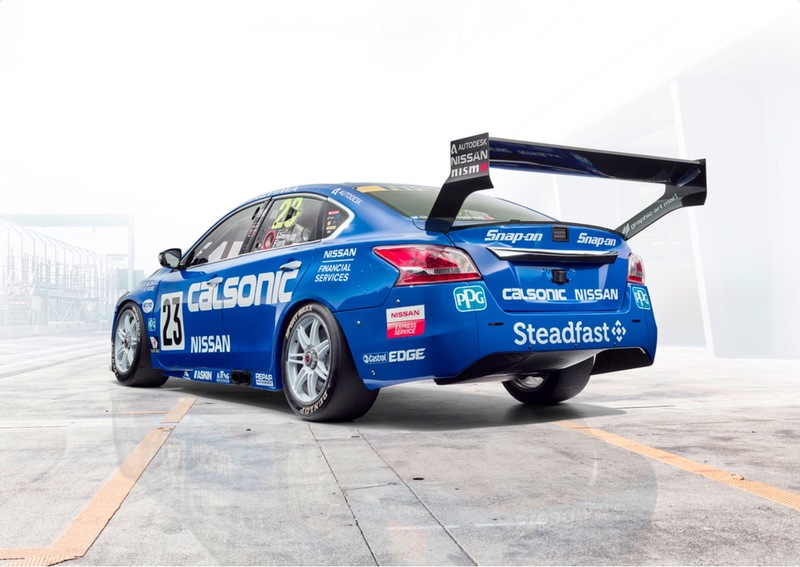 The Altimas in the V8 Supercars Championship have all been specially prepared, powered by 5.0-liter V8s, capable of 668 horsepower and feeding it to the rear wheels. Both John Morton’s 1971-72 winner in red-on-white, as well as the “guest driver” blue-on-white car are represented. In an interesting coincidence, Australia had their own Peter Brock in motorsports, but it was a completely different person. The star of the show will be the Calsonic Blue livery, given Nissan’s prized number 23 (“two” in Japanese is 二, pronounced ni, and “three” is 三, pronounced “san”). The orignal Calsonic Skyline GT-R’s number was 12. 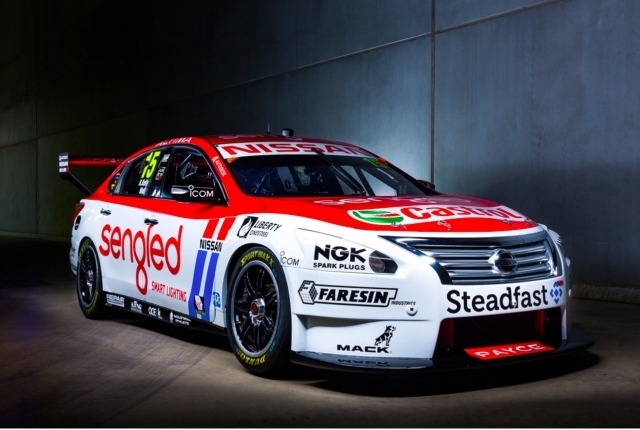 Again, these colors were never used in Australia, so Nissan will be running three liveries from its motorsports efforts in Japan and the US in this quintessentially Australian racing series. For Calsonic, it’s a pretty good way to get your name on a car without actually paying for it. 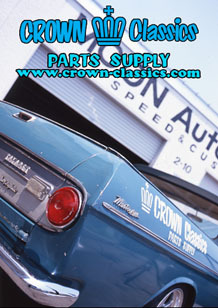 However, as we mentioned, the company holds the record for the longest continuous sponsorship of a race team in motorsports history, one that stretches back to 1982. The history of Australia’s touring cars is a long one, and for many years it was largely a contest between V8s from Ford and GM’s Aussie subsidiary Holden. However, Nissan’s history in Australian motorsports is a long one as well, and the R32 Skyline GT-R played a key role. Perhaps its most famous episode came in the the 1991-92 seasons when the R32 Skyline GT-R won the Bathurst 1000, becoming one of the very few 6-cylinder cars to do so. The victories cemented the GT-R’s legendary status in Australian motorsport history, prompting Australians to first christen the R32 “Godzilla”. If as an American you are still not clear on just how cool this is, imagine this: Nissan builds a V8, RWD sedan to compete in NASCAR. But, instead of Home Depot or whatever sponsors they have, they decide to paint the cars like the Calsonic R32 and BRE Datsun 510s, cars that never raced together, in the same era, or in the same country. Would enough Americans get the reference to make it worth their while It seems Australia and Europe are doing a better job of honoring Japanese automotive heritage than the US these days. 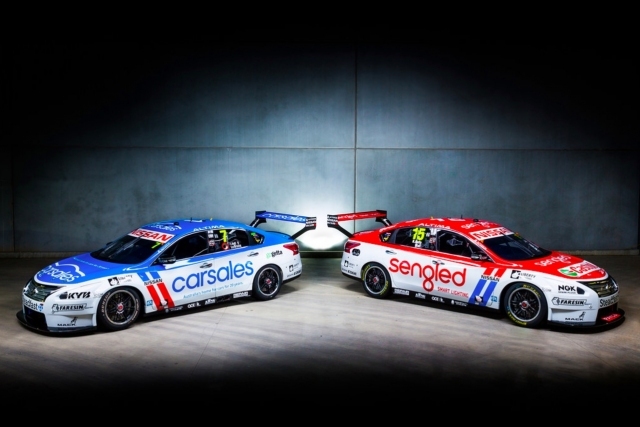 Qualifying for he Sandown 500 begins September 15, with the main event taking place on September 17.
tagged: 510, Altima, australia, bre, calsonic, datsun, nissan, r32, skyline, V8 Supercars. And why does Nissan not want to make money with this setup? It’s like they are taking the rulebook setup with Nintendo and the NES Classic. Yep, if you wanna start a fight with a Holden (GM) or a Ford guy here in Oz just mention the R32 GT-R! If you really, really, REALLY want to have them go at you hammer & tongs just mention Bathurst 1992! Pick that scab & watch ’em behave like true hard-core, chest beating Neanderthals……….love it!!!! Yes, to the right people, Nissan has a very, very proud racing heritage here. Yes, Australia (Motor Magazine to be precise) coined the “Godzilla” name. Yes, the R32 GT-R ate EVERYTHING in its path. Yes, on the back of looser tears from Holden & Ford it was first shackled with weight penalties (still won! ), then boost restrictions (still won!!! ), before finally being outlawed & ruled ineligible because it didn’t have a bent 8. And lastly, yes, I did get sent to my room constantly by my Dad (VB in one hand, lit smoke in the other) for cheering too hard for Nissan as they fought hard & eventually won. Nissan is much more than just the R32 too. Check who is listed as the fastest touring car lap around the old, “proper” Bathurst track (before they put The Chase in the middle of Conrod Straight)……….it isn’t an A9X Torana (Holden) or a GTHO Falcon (Ford)…………..it is George Fury in the Group C Bluebird Turbo. This is Australian Nissan history, this is how I grew up, this is how much passion & pride Nissan can represent. Couple this now on this retro weekend with these great, world-wide Nissan war paints & the circle is now complete! Count your blessings Nissan does not make a 8cyl RWD Maxima since a lot of the current Maxima owners drive like pricks. I love the old school liveries and glad to see them comeback. Can’t wait for Tomica,Kyosho or Tarmac to make these cars into diecast! Am I nuts or is the red-on-white BRE Maxima’s driver named R Kelly?? He believes he can fly… With 668 hp. In another odd coincidence, Aussie driver Peter Brock died driving a car designed by Pete Brock (Shelby Cobra Daytona).